Eve’s Grant is our way to continue to help other Doncaster people, not necessarily just the unfortunate people suffering with Cancer but Doncaster people that still need that little bit of support or assistance. Please read the story, written by Jacks mum. Jack was born at 38 weeks weighing 6lb 2oz. 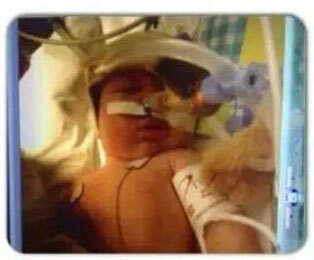 He wasn’t breathing properly and was rushed to the special care baby unit. He was on there for 10 weeks where he was be on and off the ventilators. Jack would constantly stop breathing and needed help. When Jack was 10 weeks old he suffered his first cardiac arrest and was rushed to Sheffield Children’s intensive care unit. Jack was on and off the unit for the first year of his life and came home with the help of our local children’s hospice just before his first birthday. We have set a new target of £30,000 as Jack requires high dependency one to one care. Due to Jack’s spine he requires a bed throughout the long flight which means he will require to go first class. For four 1st class tickets it is going to cost over £10,000. As you can imagine this is going to be very expensive and that doesn’t include insurance, accommodation that is specially adapted, medical hire, wheelchair accessible vehicle hire, community nurses service, theme park tickets etc etc. Jack has never been on a proper family holiday due to his illness and this will not only bring us together but will also create the most special memories that I/we will all cherish forever. Jack has an unknown neurological condition with multiple complex medical needs and life limiting illness. He requires 24-7 care between specially trained carers and mum. Jack has supra nuclear Palsy, Balbar palsy, no swallow, a specialist tracheostomy, gastrostomy, fundoplication, hiatus hernia, global developmental delay, recurrent chest infections and pneumonia, scoliosis (curved spine). He also has thickened airways and during infections he can bleed a lot which then clots and becomes life threatening. He can’t walk unaided, he can’t eat orally and so requires a pump feed. He requires constant humidification. He is doubly incontinent, He is connected to a machine over night that monitors his breathing and heart rate as his oxygen levels dip and his heart rate slows right down requiring intervention. Jack has suffered 3 x cardiac arrests in his life and is in and out of hospital throughout his short life. 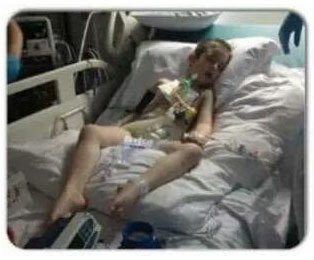 Jack has also been on and off the ventilators in that time. Jack suffers pain from his scoliosis sometimes which varies from mild to severe levels which he has medication for. We have had to say our goodbyes to Jack on numerous occasions. Jack is such a fighter and happy little boy despite everything he goes through every day. He is an inspiration to everyone he comes across. We are fundraising for Jack, mum, step dad and a medical team specially trained to Jack’s multiple complex medical needs to go to Disney World America.